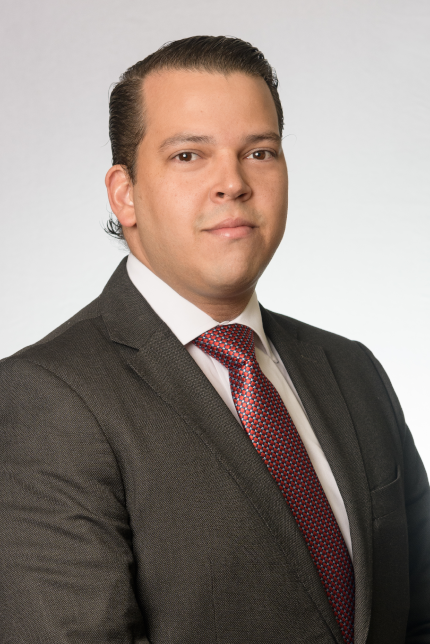 Senior Associate Attorney at Headrick Rizik Alvarez & Fernández. Admitted to the professional practice in 2007. His exercise is focused on real estate and business law as well as advising clients in connection with the development of real estate projects. César Ledesma received his Bachelor of Laws, from Pontificia Universidad Católica Madre y Maestra (PUCMM) in 2007. In 2008, he obtained a Masters Degree on International Business Law from Universidad Complutense de Madrid. He pursued a Master of Laws (LL.M.) on Real Estate and Registry Law from Universidad Iberoamericana, in Santo Domingo, Dominican Republic. He is a Judicial Interpreter in the English language. He is fluent in Spanish and English.